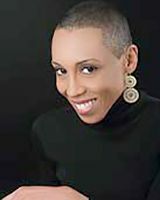 Andrea Davis Pinkney is the New York Times bestselling and award-winning author of more than thirty books for children and young adults, including picture books, novels, works of historical fiction and nonfiction. She was named one of the 25 Most Influential Black Women in Business by The Network Journal, and is among The 25 Most Influential People in Our Children's Lives cited by Children's Health Magazine. Andrea was selected to deliver the 2014 May Hill Arbuthnot Lecture. This honor recognizes her significant contributions to literature for young people provided through a body of work that brings a deeper understanding of children's books and their impact. Andrea's recent novel, The Red Pencil, has received five starred reviews. The book has been named a School Library Journal Best Book of 2014, a Kirkus Reviews Best Book of 2014, a New York Times Notable Book, a New York Times Editors' pick, and is an NAACP Image Award nominee. Additionally, The Red Pencil was named a Kids' Indie Next List "Inspired Recommendations for Kids from Indie Booksellers" selection. Andrea's nonfiction work includes Martin & Mahalia: His Words, Her Song, an NAACP Image Award nominee, and Hand in Hand: Ten Black Men Who Changed America, recipient of the Coretta Scott King Author Award medal, a New York Time Notable Book and a Chicago Public Library "Best of the Best." Bird in a Box, a novel, was a Today Show Al Roker Book Club pick. Her picture books include the New York Times bestseller Sit-In: How Four Friends Stood Up By Sitting Down, a Jane Addams Honor Book, winner of the Parenting Publication Gold Medal, and winner of the Carter G. Woodson Award; Sojourner Truth's Step-Stomp Stride, a Jane Addams Honor Book and School Library Journal "Best Book of the Year," the Coretta Scott King Author Honor Book, Let it Shine: Stories of Black Women Freedom Fighters, which also won the Carter G. Woodson Award for historical works for young people; Duke Ellington, a Caldecott Honor and Coretta Scott King Honor Book, and Boycott Blues: How Rosa Parks Inspired a Nation, an Oprah Radio featured selection. In addition to her work as an author, Andrea has had an illustrious career as a children's book publisher and editor. She currently serves as Vice President, Executive Editor, Scholastic, where she has acquired and published a robust mix of titles, including the Newbery Honor Book and Coretta Scott King Book Award-winner Elijah of Buxton by Christopher Paul Curtis; Allen Say's Robert F. Sibert Honor Medal-winner Drawing from Memory and the New York Times bestseller Exclamation Mark by Amy Krouse Rosenthal and Tom Lichtenheld. Additional publishing ventures include Coretta Scott King/John Steptoe New Talent Award-winner The Skin I'm In by Sharon G. Flake and Toni Morrison's Remember: The Journey to School Integration, winner of the Coretta Scott King Author Award. During the course of her career, Andrea has launched many high-profile publishing and entertainment entities, including Hyperion Books for Children/Disney Publishing's Jump at the Sun imprint, the first African-American children's book imprint at a major publishing company; the hugely popular Cheetah Girls series, and the teen book Serving from the Hip by world-class tennis pros Venus and Serena Williams, an Oprah featured selection. 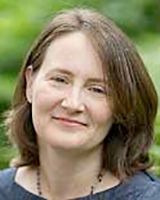 Andrea is a graduate of Syracuse University's Newhouse School of Public Communications and is a former member of the Newhouse School's Board of Trustees. She lives in New York City with her husband, award-winning illustrator Brian Pinkney, and their two children. 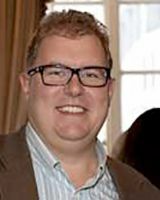 Andrew Wooldridge is the owner and publisher at Orca Book Publishers, a pioneer in producing reluctant reader books. Andrew is also the editor of the Orca Soundings series, which are short, high-interest novels written expressly for teens who read below grade level. With over 730 titles titles in print, Orca Book publishes award-winning, best-selling books in a number of genres. Bob Cunningham, M.A., Ed.M., is an in-house advisor on learning and attention issues for Understood. He is also chairman of CDE Career Institute, a postsecondary career school in Pennsylvania, and interim head of school at the Robert Louis Stevenson School in New York City. Previously, he was head of school for the Gateway Schools in New York City. Cunningham has been a teacher, evaluator and administrator in several public school districts. He holds a B.S. 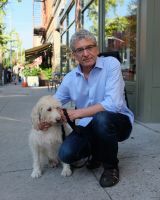 in education from Indiana University of Pennsylvania and two master's degrees from Teachers College, Columbia University, where he has also served as an instructor in the learning disabilities program. David Flink is the Co-Founder and Chief Empowerment Officer of Eye to Eye, the national mentoring movement that is empowering young people with learning disabilities. 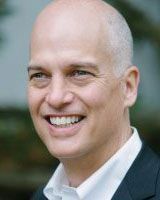 David holds a master's degree in disability studies in education from Columbia University and bachelor's degrees with honors in education and psychology from Brown University. His first book from Harper Collins, Thinking Differently, is also the first book of its kind, written from an autobiographical perspective, and directed primarily at parents. In it, he sets out to enlarge our understanding of learning and offers new, powerful strategies for teaching, parenting, and supporting kids with learning and attention issues. In 2010, he was awarded a Prime Movers Fellowship sponsored by the Hunt Alternatives Fund, which supports emerging and established social movement leaders. In 2014, David was elected to the prestigious Ashoka Fellowship. Ashoka is dedicated to achieving large-scale social innovation. David has spoken and keynoted at conferences, colleges, and universities across the country. David is former executive and publisher at Scholastic. 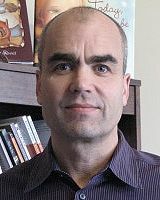 He led Scholastic.com’s site for teachers, where he developed innovative approaches to book search and personalized recommendations; was publisher of Read 180 and other significant educational technology products for reading intervention; and was editor-in-chief/publisher of Scholastic’s Classroom Magazines. He received a BA from the University of Michigan and an MS from Columbia University. Gabrielle is Co-President and Chief Learning and Science Officer at CAST, where she provides leadership to strategically advance CAST's mission and vision. Dr. Rappolt-Schlichtmann's research is focused on the affective components of Universal Design for Learning. Her area of expertise is in the relationship between emotion and cognition during learning, especially with regard to the impact of children's experiences of stress on emotion and cognitive performance in the context of school. 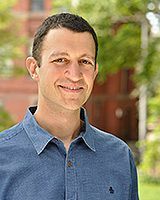 Dr. Rappolt-Schlichtmann holds a doctorate in Human Development and Psychology with a focus in Mind, Brain and Education from the Harvard Graduate School of Education. She is currently directing the National Center on Reading and Disability funded by the Office of Special Education Programs. Mayo-Smith is on the national board of the International Dyslexia Association and chairs the Marketing & Technology committee. Prior to the IDA John served as EVP and Chief Technology Officer at R/GA, and helped grow the agency from less than 20 employees to a $280 million strategic consultancy with 13 offices worldwide. Clients include Nike, Samsung, Smithsonian Institution, Google, Facebook, Mastercard, Johnson & Johnson, AARP, American Heart Association, Tiffany and Reuters. 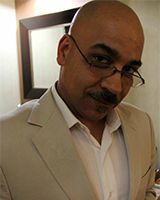 He has been quoted in articles published in the New York Times, Wall Street Journal, Forbes.com, ABC News, MIT Technology Review, Informationweek, Advertising Age, Brandweek and Huffington Post. John has lectured at Columbia, New York University, Parsons and Wharton. Mayo-Smith is a member of the 2015 Marketing Hall of Fame Academy and is working with global business leaders to increase awareness of matters relating to global literacy. 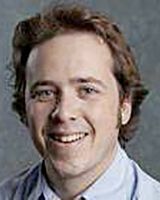 Josh Biber is the Executive Director of Teach for America, Massachusetts. Biber was a national semi-finalist for the Sue Lehmann Excellence in Teaching Award. He later served as recruitment director for Teach For America at Brown and Harvard. In 2008, Josh took on the challenge of establishing Teach For America's presence in Massachusetts – first, as director of new site development, then as founding executive director. 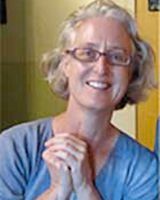 Lisa Simon is an Associate Professor of Transformative Literacy in the Department of Teaching, Learning, & Culture in City College's School of Education. She received her Ph.D. in Applied Psychology from the School of Education at New York University. She is the author of numerous journal articles. Simon's scholarship centers on the ways in which literacy can be used to negotiate and challenge barriers to equitable learning opportunities. 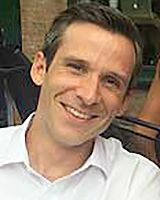 Max Baigelman is the Director of Strategy and Business Analytics at Wayfair. Prior to his current role, Max was a Partner at 32Laight Street Partners, a private investment firm based in New York City. He has also been the co-CIO of a charitable Family Foundation, an Investment Associate in North American Private Equity at Bain Capital, and a Strategy Consultant at Bain & Company. Max received a BS from Cornell University and an MBA from the Stanford Graduate School of Business. 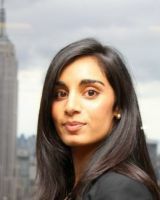 Safiya is the former President of ApTask and Chief of Staff at Mercer. She has experience in a variety of roles around Human Capital Management and Talent Leadership. Safiya also served as the Expert in Residence at the General Assembly in New York, advising on business fundamentals and tactics. She is currently an MBA candidate at the Harvard Business School. Safiya brings her experience in human resources, marketing, and business development to the Story Shares Board. 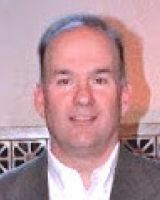 Joel Brown is Chief Sales Officer at Reading Plus. Prior to working at Reading Plus, Joel was VP of Sales and Marketing at Lexia Learning. Joel is passionate about improving student literacy through technology. His extensive experience in Ed Tech, both domestically and internationally, has helped students of all ages and abilities to strengthen reading skills and develop a more positive attitude about reading. Through his work at Reading Plus, Joel is changing the lives of students and educators by helping to open a new world of possibilities through improved reading comprehension.